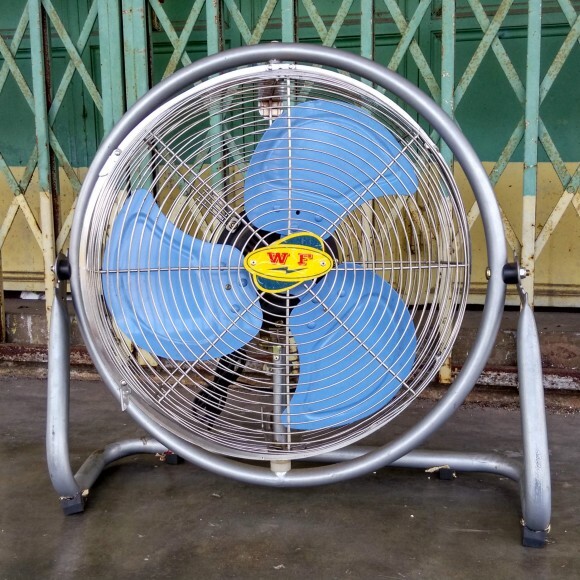 Industrial metal-clad floor fan with automatic left-right oscillation function. 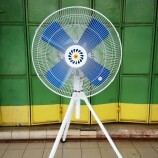 Specially-designed fan blades create spiral airflow that is effective for ventilating functions. Manual Up and down adjustment available. Best option for kitchen and factories uses. Up and down adjustment available.